Today would have been my father’s 90th birthday. In honor of the occasion, I’d like to honor some of his favorite things. My father’s earliest memories included going to the theater to see Tom Mix in a silent movie. 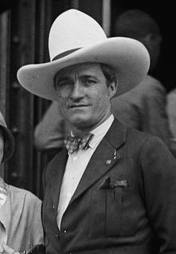 To Dad, Tom Mix was a real cowboy. (He certainly had a real hat, don’t you think?) Now Roy Rogers may have had Trigger, the Lone Ranger had Silver, and Gene Autry had Champion, but did you know Tom Mix’s horse was called Tony? What the heck kind of horse name is Tony? How often would he say that? Every time. How often did we groan? Every time. 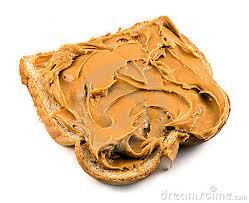 Dad loved peanut butter. He especially liked cheap peanut butter. The type with oil floating on the top. In his last few years, he often needed nursing home care, and he hated the institutional food. My mother would bring him his favorite snack – raisin bread with peanut butter. Now you have to admit – that is a pretty good snack. A while back I wrote about my old crush on David McCallum. I owe that infatuation to my father. Dad liked TV, but he usually let us kids watch what we wanted. When I was thirteen, I was still stupidly stuck on “The Beverly Hillbillies”. 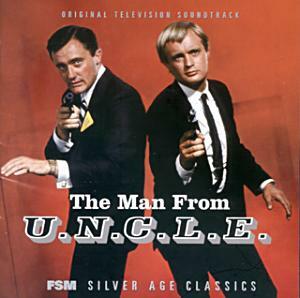 But my father heard about this new show “The Man From U.N.C.L.E.” that was on NBC opposite the Hillbillies. I was upset that he wanted to change the channel. I cried (which usually worked) – but for once he insisted. “Let’s just try it,” he said. And I fell in love. And his grandfather’s name was Napoleon (truly), so Dad was delighted too. Golf: My father liked all sports. According to my mother, he was a very good athlete as a young man, and I certainly believe it. But except for his bowling night that I vaguely recall back when I was little, I only remember him playing golf. He played well into his seventies, and I played with him a few times. He had an easy swing, and I remember him aiming to the left of the flag to compensate for his natural slice. Our local course was a short par 3. He never used a wood – he could hit the ball as far with his iron, slice or not. He may have played a mean game with this friends, but I doubt it. I think he was probably as relaxed and calm with them as he was with me. We watched a lot of televised golf once his health started failing. (Actually, we always watched a lot of golf – I remember watching Arnold Palmer.) Dad had some moderate dementia in his last years, and he came to believe that Phil Mickelson was his golf buddy. 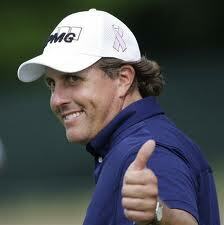 “See that guy, Mickelson?” he’d ask me. “I used to play with him all the time.” I’d say, “Did you beat him?” And he’d smile. My father loved clam chowder. But not the milky New England clam chowder. 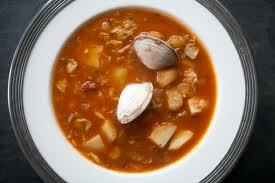 He liked Rhode Island clam chowder with a red clear broth that was an old family recipe. Or his recipe, maybe. My Dad didn’t do very much cooking, but he liked to make the clam chowder himself. He would spend the better part of the day creating his masterpiece. He was very particular about his chowder. He was not very particular about the state of the kitchen. Family: Dad loved my mother and us kids and his whole family. His loved his parents and his aunts and uncles and his brother and his sisters. He loved his nephews and his niece. He loved his children’s spouses. He loved his grandchildren and his great-grandchildren. Very very sweet Nancy. Your dad is smiling. I hope so. He smiled all the time. He lit up the room. Thanks. My husband’s dad has been gone for 37 years, and he tells me that I will always miss my dad. I’m sure I will, but I love remembering him. What a beautiful tribute to an outstanding human being. Lovely. You brought tears to my eyes. A wonderful tribute. This was lovely, what a marvelous set of memories. I wonder what you dad would think of TV watching today. Every person has their own TV and they can watch what they want, and never sit together and watch each others suggestions. And never learn how to Take Turns. I think this is a great way of honoring a loved one–by remembering their favorite things. My dad’s still alive and well, but I think I’ll send him a list to honor him anyhow. It’s all those little things that make a relationship special – and that you will remember forever. My sister reminded me this morning of Dad’s other favorite “song” (from “Carmen”): “Toreador, don’t spit on the floor. Use the cuspidor. Toreador! ” And I’m laughing again even while I’m typing it. I will be forever grateful to be one of the “neices” that he loved. ..there was no better feeling when we were young , than knowing he would be there if he was needed. After Daddy died, I turned to him many times, when we were working together. Even after moving to Ohio, I still knew if I needed him, he would be there. I miss your father the same way I miss mine. HAPPY BIRTHDAY UNCLE TOM. Sit and play a hand of poker with Daddy and Uncle George, like I remember you doing when we were young. You know Sue – you were his only niece. And that made you even more special to him. I’m sure your dad and mine and George are playing poker right now… and maybe having some clam chowder. The chowder was a family receipe. My Mom made it that way too, and I think Uncle George also. It’s the only way they would eat it. Such wonderful memories we have…..
You know, I hate clams and I hate clam chowder, but I love the smell of it. It smells like family. I don’t like it either, but I would help her make it every single time! Oh Nancy, your post made me smile, for your Dad and mine. A wonderful, happy birthday to your late father. Mine’s been gone for 12 years. And yeah, you’ll always miss him. But you know, I wouldn’t want it any other way. Very sweet post in honor of your dad. My father-in-law is 90; they truly are members of the greatest generation…. Absolutely true. And in the traditional sense too. 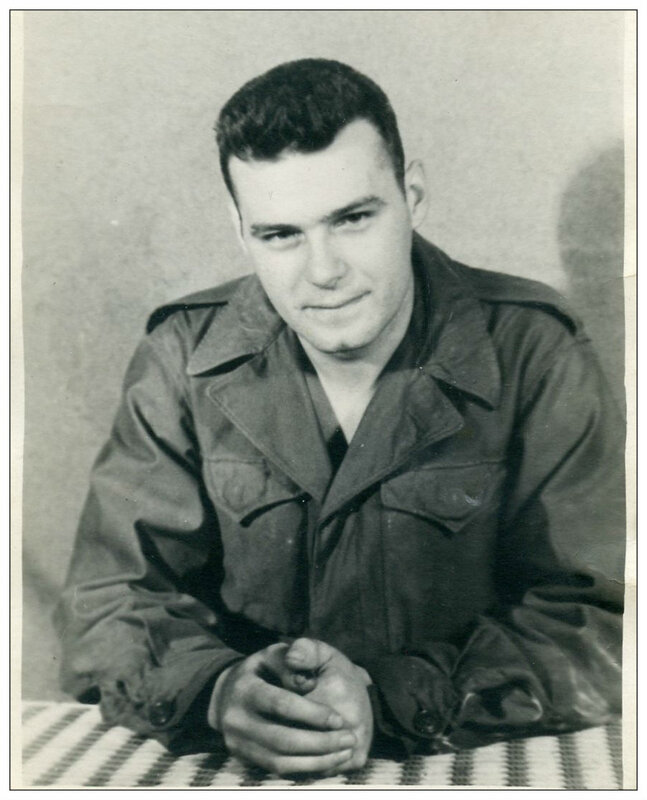 My father was a true war hero – with two purple hearts. You have some wonderful memories and it is obvious that you cherish them. Thank you for sharing them. It’s wonderful that you seem to have his “joy” in you. He was one of the happiest people I ever met – and he taught us his secret. Just enjoy the love of those around you. What a great Dad! My dad is still going strong at 81, even though he has Alzheimers. Mom is in pretty good health for a 77 year old woman who has worked hard all her life. I wish I had as close a relationship with my parents and you seem to have had with yours. What a blessing. What a beautiful post to a man you obviously admired and adored. “Having you kids was the best thing I ever did.” Telling you those words might have been the 2nd! How many (adult) kids do I know who’ve never heard that? My father always let us know that he was proud of us. And he always made it evident that he was proud of my mother. That gave us kids the most wonderful example of what a loving marriage is. What a warm, loving and heartfelt tribute to your father! Lovely! And you helped me remember some of my dad’s dopy jokes and sayings. Thanks. I think lots of Dads had dopey jokes…must be a prerequisite. What a sweet post. I never really knew my dad, I am always envious of those whose dad’s were extra special. I can’t imagine the void of not having a dad (or mom). You can share mine today. Thanks. I had a dad, just didn’t know him growing up. He had another family (well, a couple of other families). He is still alive but has Alzheimers pretty bad. I am saddened sometimes by that but can’t change it. Thanks for sharing your, though – he sounds like quite a character. I’m sure he’s smiling down on you today. Amazing how you usually make me laugh but this one made me want to cry. But, I can see where you come by your fast and funny reactions to things. This is an awesome tribute to your wonderful Dad. Dad was funny and sweet and corny… it’s my Mom’s humor that is sharp and sarcastic. I think I got a weird mix. A wonderful tribute for your father’s birthday. Gone but not forgotten. You’re all heart. My Dad was gorgeous! In the last year of his life (at 88) – he and my mother walked into the senior center for lunch, and my mother heard a couple of old ladies say…. There’s Tom – he was the cutest boy in the whole school! That was beautiful. It made me laugh and it made me cry.